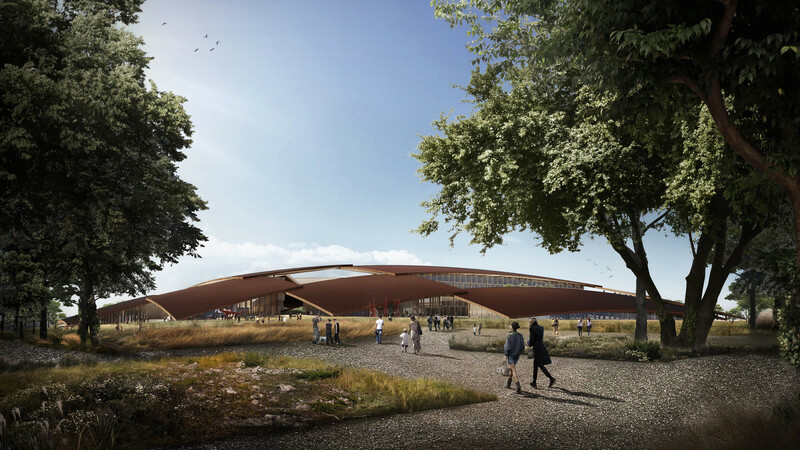 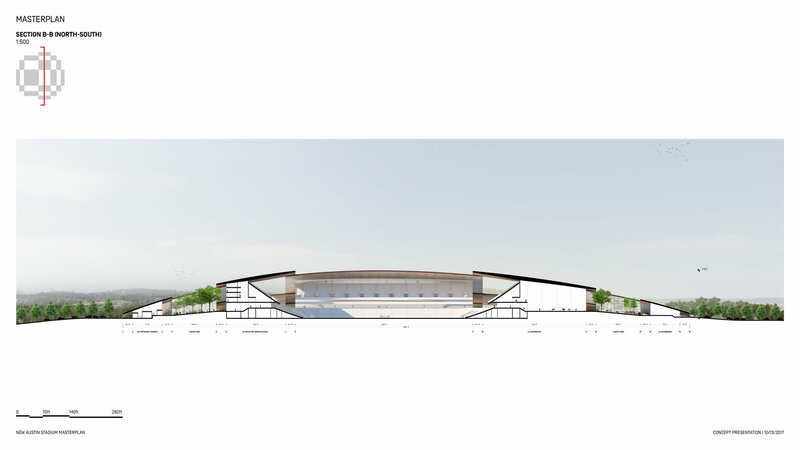 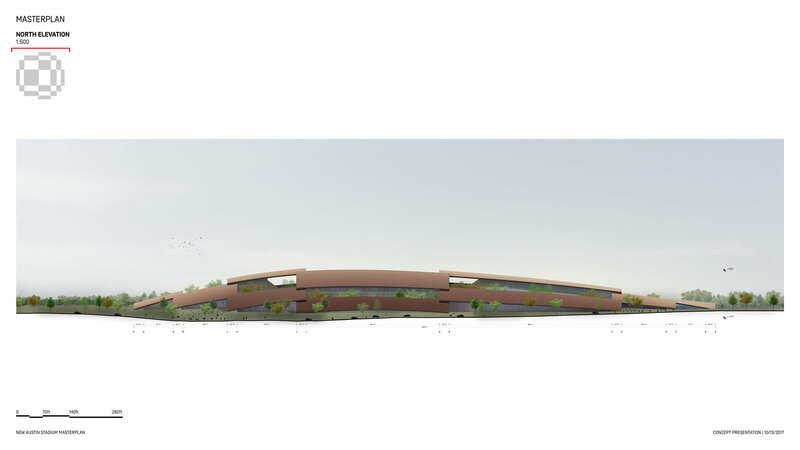 This stunning project is expected to be built in the east of Austin, Texas, between two ring-roads of the city and in the place of old Travis County Exposition Center. 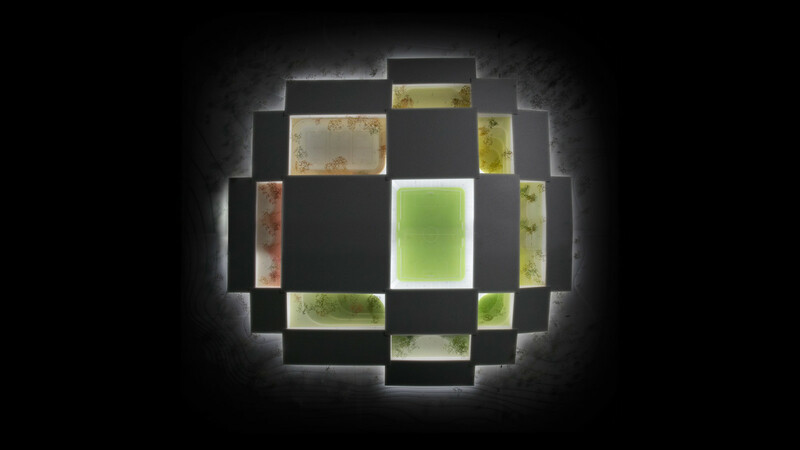 Its uniqueness is owed to the mixed character and demands of specific elements joined together in a seemless ensemble. 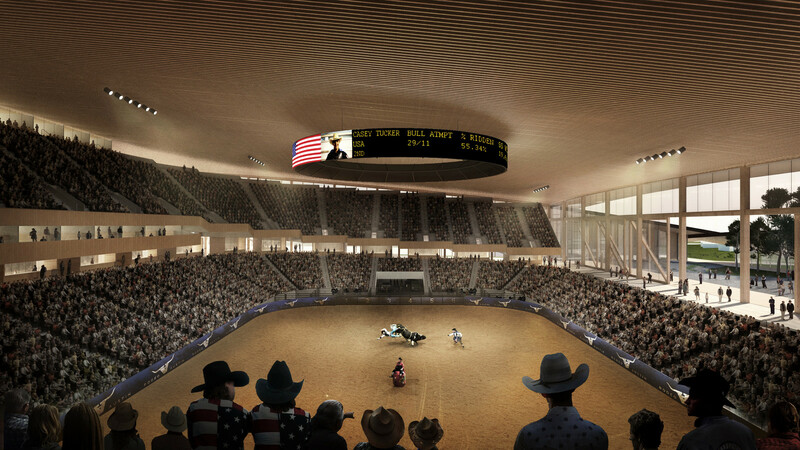 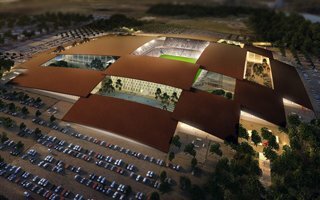 Two primary venues are a 40,000-capacity football-specific stadium and a 15,000-seat arena, meant primarily for the 2-week-long annual rodeo show attracting a quarter of a million people. 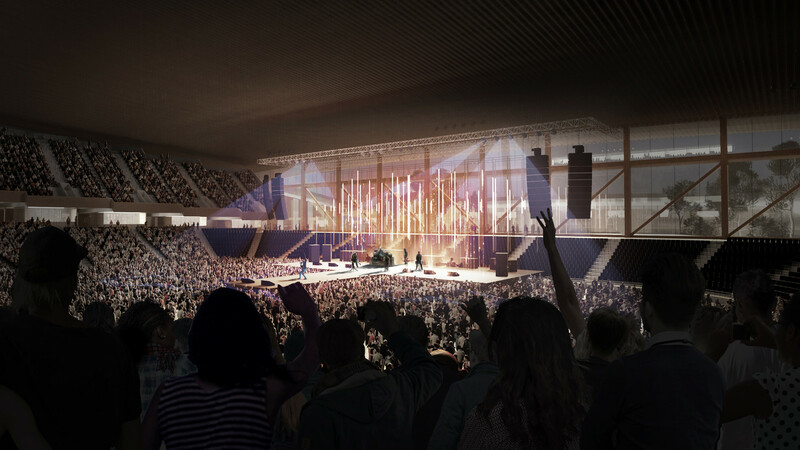 On other dates it will serve as concert venue, among other uses. 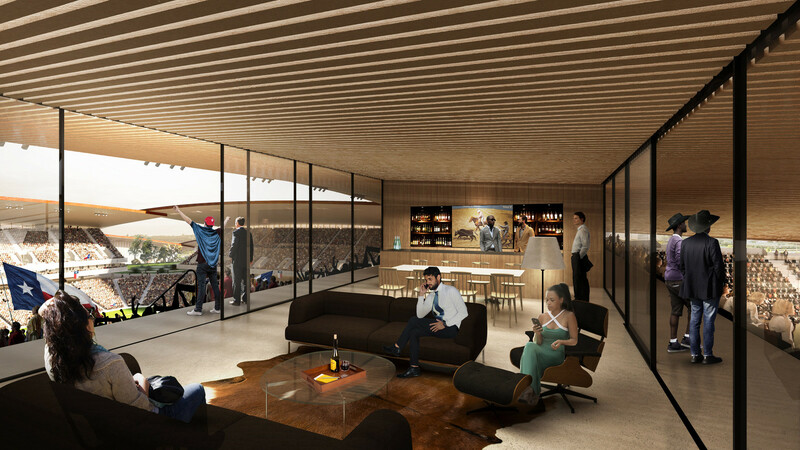 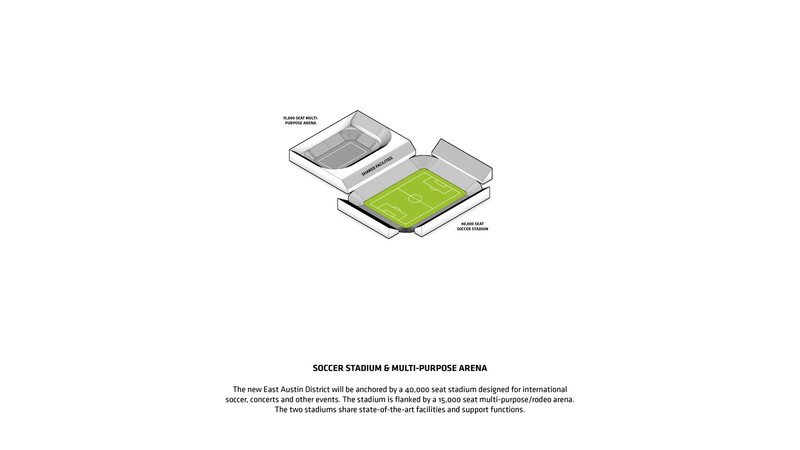 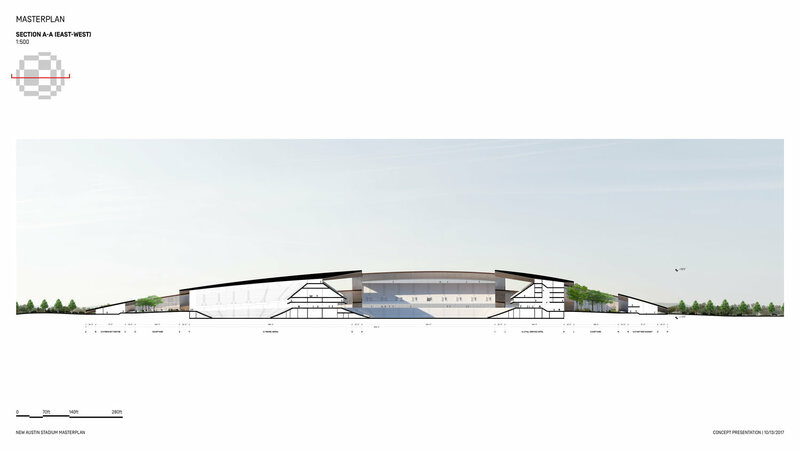 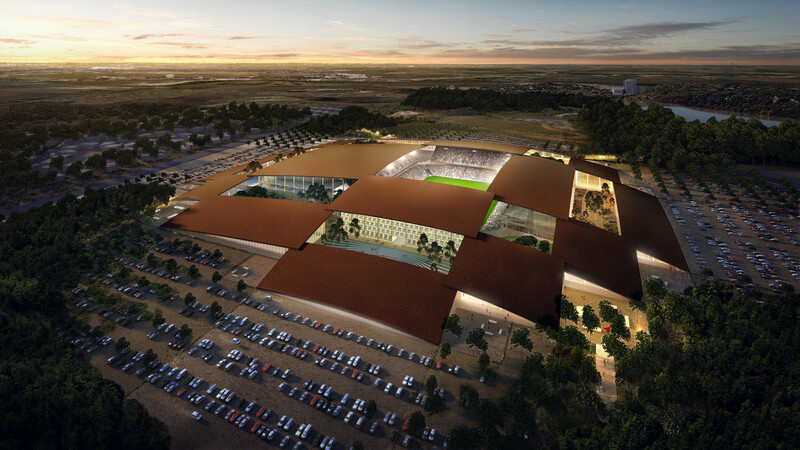 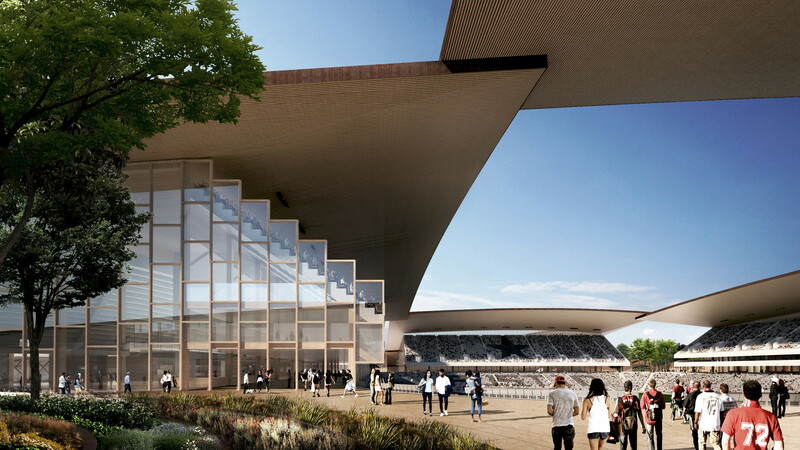 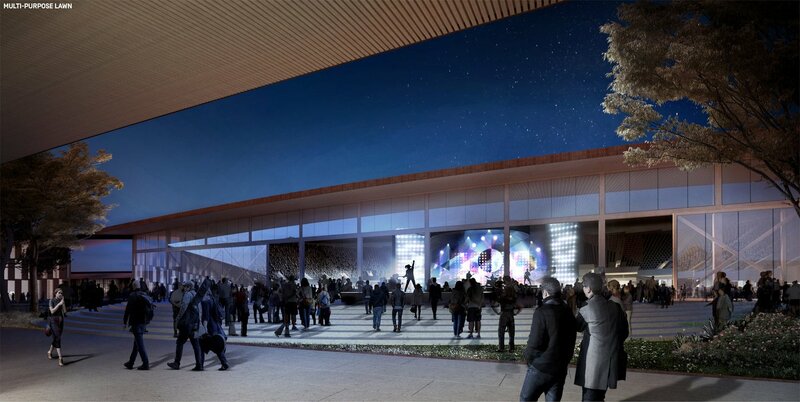 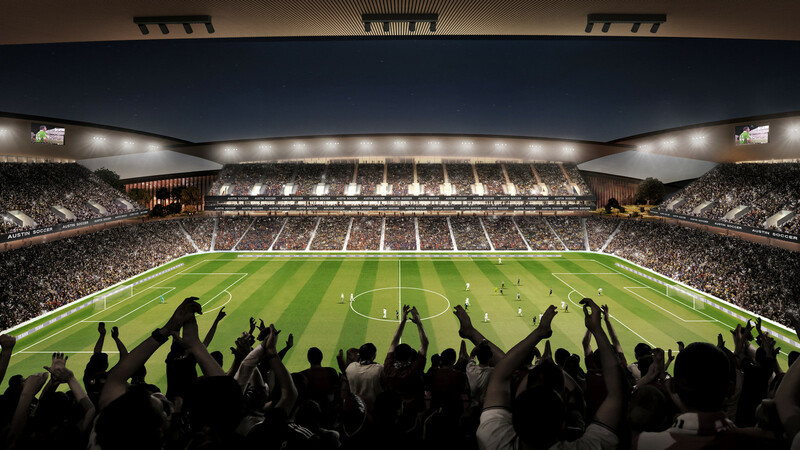 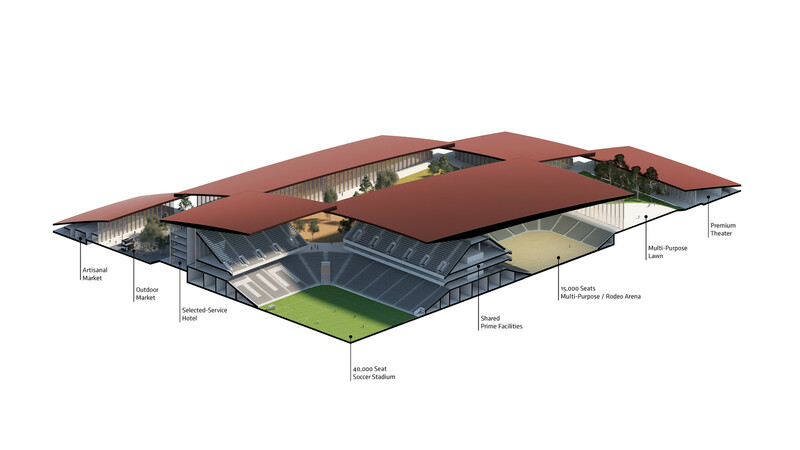 The stadium's main stand will be conjoined with arena's east side, offering both these venues over 17,000 square meters of shared hospitality space. 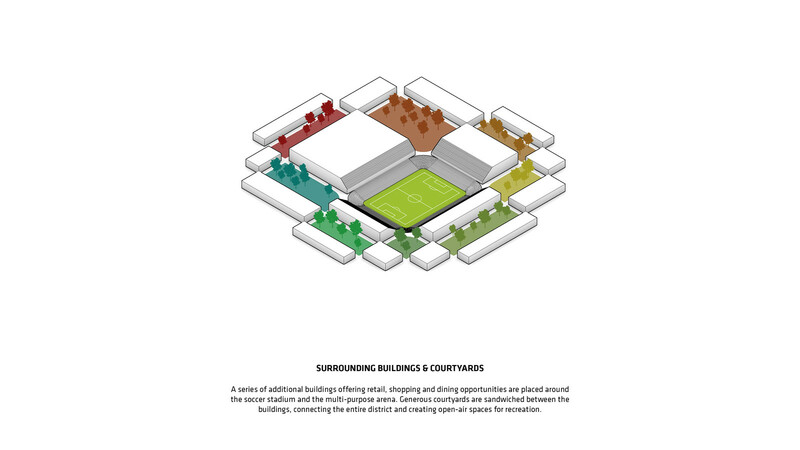 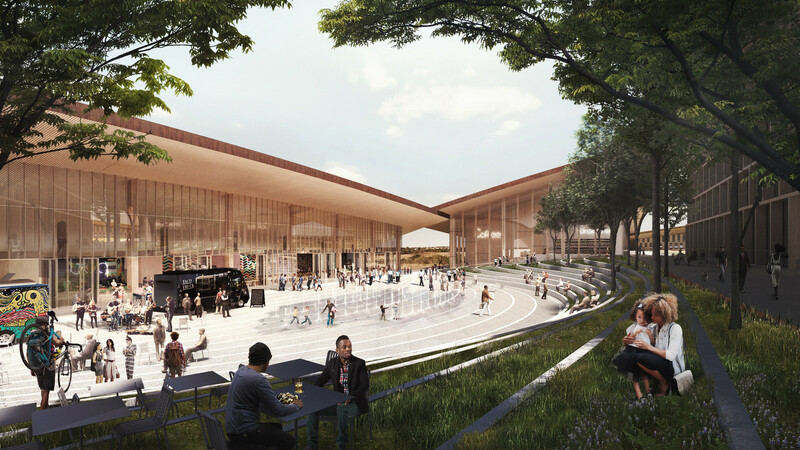 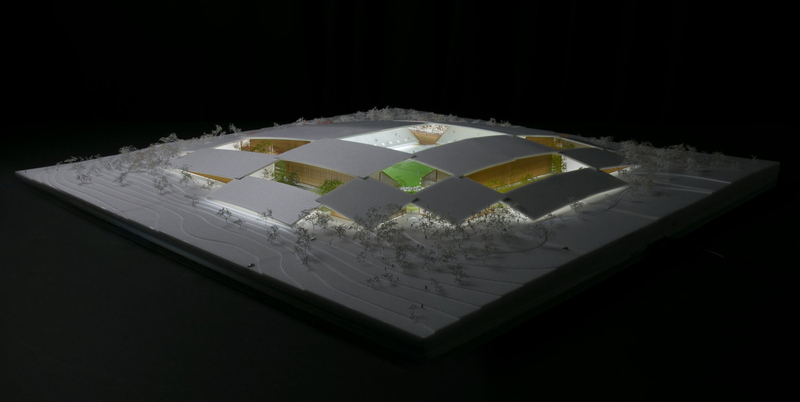 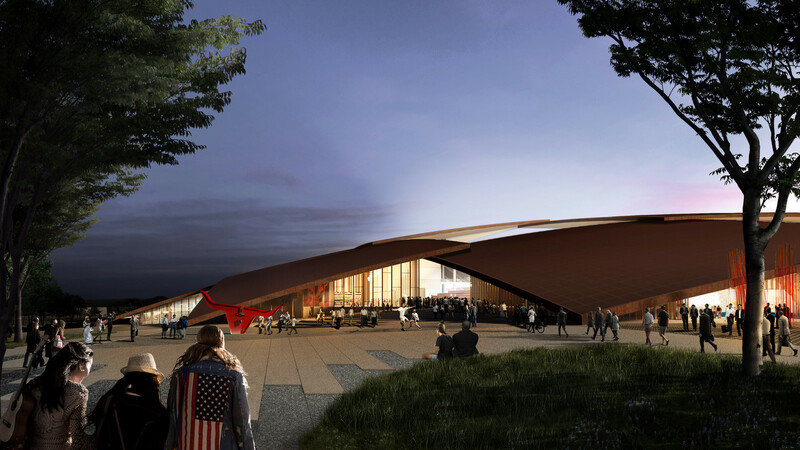 Aside from the two main uses an impressive number of 14 other covered pavilions are planned, housing – among other uses – an artisanal market, premium theatre, shops and youth sports facilities. 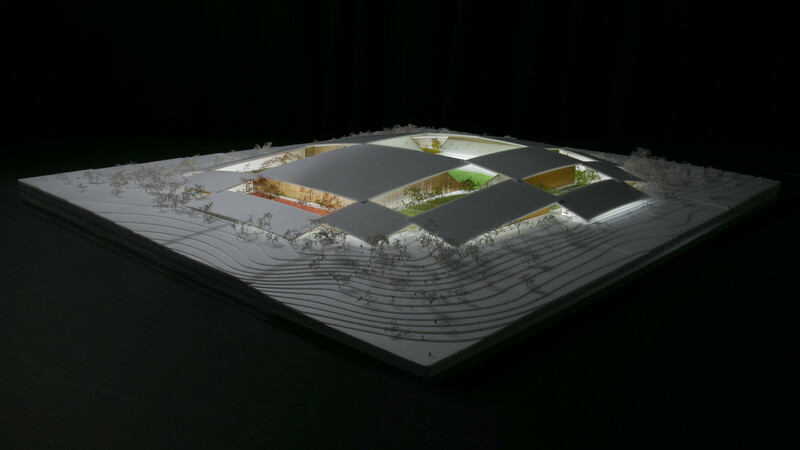 The entire complex will be connected by 8 courtyards aimed as quality public spaces. 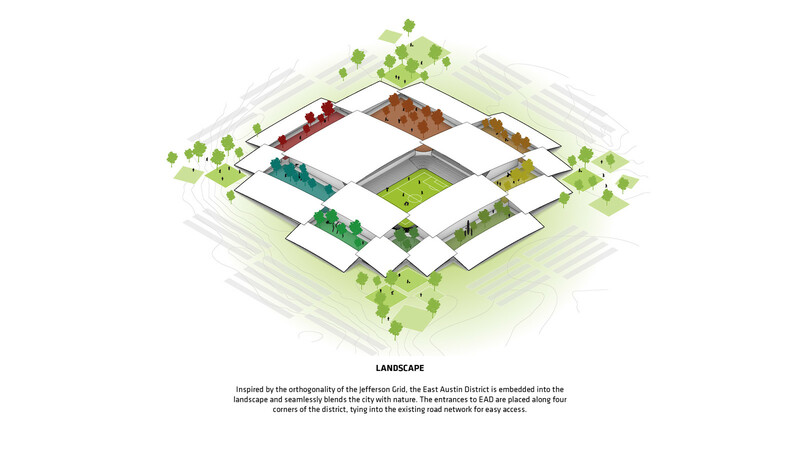 Key design ideas focus around Texas' characteristics. 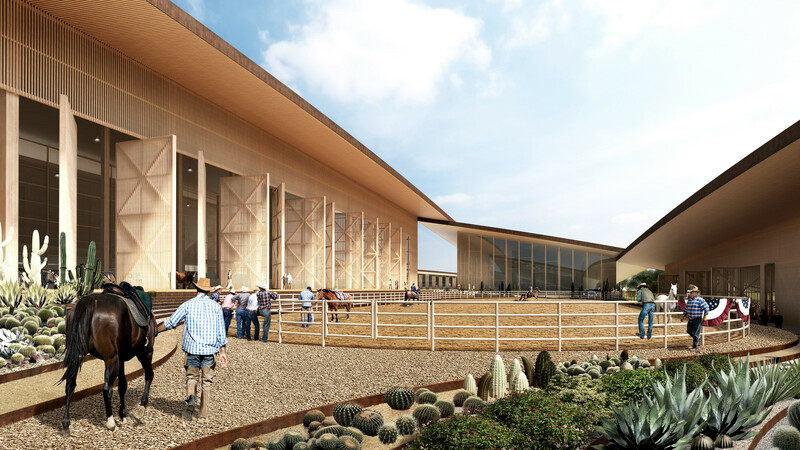 First, all walls and inner side of the roof will be clad with wood in order to bring countryside warmth and rural barn aesthetics. 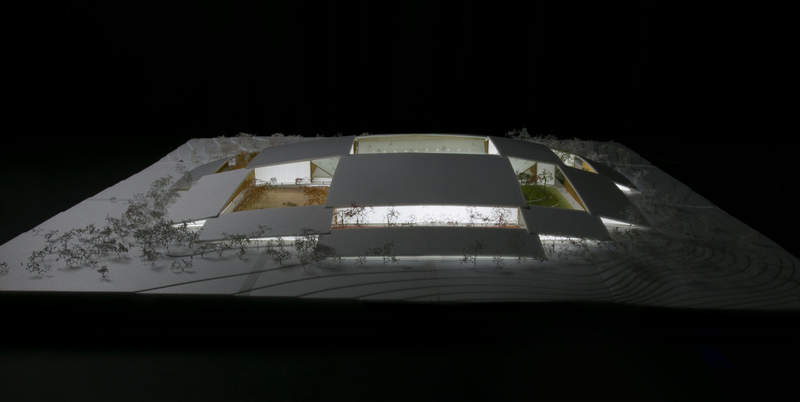 Second, thanks to sliding walls the complex is expected to celebrate the city's patio culture, in which a lot of life is spent in semi-open spaces rather than strictly outside/inside.